Call: The J on 53296560. Email: The J at marketingthej@noosa.qld.gov.au. 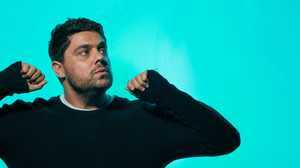 2018 has been a year of transition for Dan Sultan. Having taken 6 months off and out of the spotlight to recalibrate and steady the ship, he is now ready to take on a whole bunch of new, exciting and fresh challenges. The first project to see the light of day in 2019 will be the aptly titled ‘AVIARY TAKES’, a collection of older, existing back catalogue songs and a smattering of new tracks including a couple of out-of-the-blue covers and fresh tunes stripped back and all recorded in ‘one vocal take’ at The Aviary Studio’s in inner city Melbourne. The AVIARY TAKES collection will be released early in 2019 and to celebrate its release, Sultan will head back out on the road armed with a guitar, a keyboard and a fresh batch of anecdotes and bad ‘dad’ jokes! The tour run sees Dan traverse the country in regional areas that he is both familiar and not so familiar with. Says Sultan; “I’m really looking forward to hitting the regional road with ‘The Aviary Takes’ tour. It’ll be good to make up for the shows I had to cancel earlier this year. ‘The Aviary Takes’ are a group of songs I recorded recently and they include old, current, new tracks with a couple of surprise covers thrown in. It’ll be great to see all of your lovely faces at the shows”.